Joel Berger, “one of the world’s most distinguished conservation scientists,” will discuss his work on “Functioning Ecosystems: Does Science Matter?” on Monday (Sept. 27) as part of the Biological Science Department Seminar Series. The lecture will be from 4-5 p.m. in Lee Drain Building Room 214. Berger is a professor and the John J. Craighead Endowed Chair of Wildlife Biology at the University of Montana. As a senior scientist with the Wildlife Conservation Society, Berger has studied wild horses in the Great Basin, rhinos in southern Africa, musk ox in the Canadian arctic and tigers in Siberia. “His seminar will focus on how we can use what we know about food webs and ecosystem functioning to better preserve biodiversity, most notably the large ungulates (e.g., caribou, moose, musk ox, and bison) and the top-level carnivores that depend on them (wolves, grizzly bears, and tigers),” said Matthew Rowe, SHSU professor of biological sciences. “Dr. Berger's talk should be of value to anyone with interests in natural history, the interactions between predators and prey, the logistics of conducting field work in remote and dangerous locations, and the current extinction crisis,” he said. Berger also is an elected fellow of the American Association for the Advancement of Science, an editor of the prestigious journal Conservation Biology and one of the world's most distinguished conservation scientists, according to Rowe. In addition, he is currently a research associate with the Smithsonian Institution. For more information, contact Rowe at 936.294.4250 or rowe@shsu.edu. English professor and Elliott T. Bowers Honors College director Gene Young will discuss his research on author Cormac McCarthy on Friday (Oct. 1) during the English department’s first Friday Faculty Forum of the semester. “From the Horse’s Mouth: How the Cormac McCarthy Papers Confirm the Authenticity of Place in the Border Trilogy” will be presented at 2 p.m. in Evans Building Room 417. Young, who said he has been reading McCarthy’s works since the 1980s and researching them since 1995, will focus on All the Pretty Horses and The Crossing, also looking at Blood Meridian and McCarthy’s larger set of works. “The basic idea of the presentation is that my research in the Cormac McCarthy papers confirms several things: the papers confirm the authenticity of his representation of place, including large and local history, in his fiction; he is ruthlessly critical of his own drafts; and he is far from being the recluse he has been reputed to be,” Young said. “This should be of interest to anyone who reads McCarthy as well as anyone interested in how fiction writers represent place in their works,” he said. Young has been teaching at SHSU since 1992. He previously taught at Morehead State and Texas A&M universities. He earned his bachelor’s and master’s degrees from West Texas State University and his doctorate from the University of Tennessee. All talks are open to students and faculty members, who are also invited to participate in a question and discussion period after the presentation. For more information, contact Drew Lopenzina, assistant professor of English literature, at ajl011@shsu.edu or 936.294.1434. Sam Houston State University will present an evening filled with music, dance and theatre performances during the grand opening celebration of the James and Nancy Gaertner Performing Arts Center on Thursday (Sept. 30). The grand opening ceremony will begin at 6 p.m. in the PAC Concert Hall where university President Dana Gibson will welcome those attending and remarks will be made by Jaimie Hebert, dean of the College of Arts and Sciences, before the ribbon cutting. From 6:30–8 p.m., attendees can browse the building and choose from a variety of entertainment options presented from the departments of music, dance and theatre. Outdoor performances from the Steel Drum Band will take place at 5:30 p.m., followed by the Jazz Ensemble at 6:30 p.m. The SHSU School of Music will display its talent in the PAC Concert Hall with a Symphony Orchestra performance at 6:30, followed by the Wind Ensemble at 7 p.m. and the Chorale at 7:30 p.m. The Faculty Chamber Winds and Brass will perform in the PAC Recital Hall at 6:30 p.m., with the Faculty Chamber Strings and Piano at 7 p.m. and the Faculty Chamber Voice, Harp and Guitar at 7:30 p.m. The Café Society Cabaret Singers also will present in 30-minute increments from 6:30-7:30 p.m. The department of theatre and dance will feature performances from the cast of Nine in The Erica Starr Theatre in 30-minute increments from 6:30-7:30 p.m.
Complimentary parking will be available at the University Parking Garage. For more information, contact Maggie Collum, director of university events in the Office of the President, at 936.294.3415 or events@shsu.edu. When SHSU alumnus Gary Powell, a Grammy-nominated, multi-gold, platinum producer, came back to campus last fall to work with students in the School of Music as part of a week-long workshop, music majors Nic Alaggio and Bree Derbecker jumped at the opportunity to work with him. “I decided to audition for the workshop because I felt like it was something I had to do, and with the some encouraging words from Julie Schwab in the music office, I was accepted,” Alaggio said. The experience proved to be fruitful for both Alaggio and Derbecker, who were ultimately selected from among the participants to record a song with Powell that would be distributed via music downloading websites such as iTunes. Their song, “Go World Go,” was released in August. Next month, Powell will return to Sam Houston State University scouting more talent for his second “Producer’s Workshop,” scheduled for Oct. 4-8. Promising singers or singer/songwriters can sign-up to secure an audition time for the weeklong workshop until Oct. 4 at 4 p.m., when auditions will begin, in the School of Music office, in Music Building Room 225. Participants are asked to sing two selections of any style with or without accompaniment for Powell and his panel. As many as 12 students will be selected to work with Powell during the following three days of evening workshops, from 6-10 p.m., to rehearse for the final concert on Oct. 8 at 7:30 p.m. in the Performing Arts Center Recital Hall. From this group, one singer will be selected to work with Powell to produce a song in his Austin studio and will receive a $300 cash prize from the School of Music. Powell’s works have culminated in 127 album productions that have sold approximately 45 million albums in 47 countries. “Working with Gary in the workshop was one of the greatest experiences I have ever had,” Alaggio said. “He is so passionate about what he does that you have no choice but be passionate about your own music. Not to mention, it was fun. For Powell’s thoughts on the workshop and recording process, visit his blog at http://www.garypowell.com/blogs/notes/gary-powell-producers-workshop/. For more information on the workshop, call the School of Music at 936.294.1360. SHSU’s Symphony Orchestra will present "A Night at the Opera with Stanford Olsen" on Saturday (Oct. 2). The performance will begin at 7:30 p.m. in the James and Nancy Gaertner Performing Arts Center Concert Hall. The concert will include opera excerpts by Richard Wagner and Nicolai Rimsky-Korsakov accompanied by guest artist Stanford Olsen, a tenor, singing famous selections from the operatic repertoire, according to David Cole, director of orchestral studies. Olsen, who made his Metropolitan Opera début on an hour's notice as Arturo in I Puritani opposite the legendary soprano Dame Joan Sutherland, has established himself as one of the world's outstanding artists. His European concert début took place in 1989, when he appeared with the Berlin Philharmonic in the Berlioz Requiem, and he has subsequently appeared in more than 150 performances with the Metropolitan Opera, as well as regularly appearing with man of the world’s greatest orchestras, according to Cole. Additionally, he has performed at the Mostly Mozart Festival in New York, Tanglewood, the Salzburg Festival, the Ravinia Festival and the Santa Fe Chamber Music Festival. Olsen has several commercial recordings and video releases to his credit, including “Die Entführung aus dem Serail,” conducted by John Eliot Gardiner on Deutsche Grammophon; his 1992 Tully Hall recital of works by Ives, Vaughan Williams, Britten and Tippett (Musical Heritage Society), and the role of Pirelli in Sondheim’s “Sweeney Todd” in concert with the New York Philharmonic, which was recorded commercially and telecast live. He is the winner of the 1989 Walter W. Naumburg Award, the Metropolitan Opera National Council Auditions in 1986, and has received awards from the Richard Tucker Foundation and the Eleanor Steber Foundation. Tickets are $15 general admission and $12 for students and senior citizens. The Alcohol and Drug Abuse Initiative will paint students a picture of alcohol’s effect on mental health issues on Monday (Sept. 27). “Not a Pretty Picture—Alcohol and Mental Health Issues” will be from 11 a.m. to 2 p.m. in the Lowman Student Center Mall Area. The event will allow participants to interact with SHSU clinical professor of health Susie Stone’s health education students as they help students recognize the signs and symptoms of life-threatening issues associated with alcohol use. Participants will be able to review statistics, read alcohol and drug awareness information, and participate in activities designed to help them learn more about the effects of alcohol and drugs on their personal, social, and physical dimensions of health. “Alcohol and drugs often have a secondary effect on the social and mental aspects of ones life, even if they are not directly involved in their use. Sometimes this arises from roommates, suite mates, friends of friends, being at the wrong place at the wrong time, work relations or our relatives,” Keathley said. “Examples of this include property damage, theft, harassment, loss of sleep, interrupted study habits, requests for money or favors, being put in dangerous situation, and a loss of reputation from being associated with alcohol and drug users. “The stations in Monday's event will help students prepare themselves for these situations by giving them the skills they need to contact a campus or community resource, communicate in an assertive manner in problem situations and empower them to make responsible decisions when potential risky situations arise,” she said. The event is part of the Six Weeks of Alcohol Awareness Training program, through which students can earn prizes by attending events over the course of six weeks. For more information, contact Keathley at 936.294.1171. The Office of Multicultural and International Student Services will highlight some of the common misconceptions about masculinity and “chivalry” with entertainer Fonzworth Bentley and former sports executive Marc Williams on Tuesday (Sept. 28). The MISS Campus Conversations—“What’s Wrong With Being a Gentleman?”—will be presented at 7 p.m. in the Lowman Student Center Ballroom. “The idea of what is and what is not masculinity is a not only a cultural issue but a generational issue,” said Donielle Miller, Office of MISS coordinator. “More and more we find that students have clouded perceptions of masculinity, and this is a program to address that issue. We are trying to discuss this issue on a level in which the students can have fun and be engaged. Pop icon Bentley, the alter ego of artist and writer Derrick Watkins, works to bridge the worlds of high fashion and hip-hop. Bentley, the “first gentleman of hip-hop,” caught the world's attention a few years ago as the flawlessly-dressed personal assistant hoisting a white umbrella over rap star and producer P. Diddy's head in St. Tropez. The Atlanta native now has two soon-to-be-released projects, CoolOutrageousLoversofUniquelyRawStyle (C.O.L.O.U.R.S. ), his debut album and his book Advance Your Swagger: How to Use Manners, Confidence and Style to Get Ahead, which will be published by Villard Books, a division of Random House. Williams’s resume includes tenure as a sports marketing executive for Champs Sports, Footaction and Reebok, during which time he worked with Michael Jordan, Venus Williams, Will Farrell and Chris Rock. As the former global vice president for Champs Sports, a division of Foot Locker and the largest athletic retailer in the world, Williams was in charge of managing the company’s brand, global marketing and sponsorships, helping the business double their revenues and making the brand a $1 billion entity. In 2007, he founded Williams Communications, LLC, a full-service marketing firm specializing in event marketing, sports/entertainment, talent management, and brand development. His clients include Disney, The Naismith Memorial Basketball Hall of Fame, Brand Jordan, Universal Records, USA 7’s Rugby, ESPN’s Sports Center Anchor Jay Harris, Olympians Kevin Young and Johnny Gray. and Heisman Trophy winner Johnny Rogers. A native of Florham Park, N.J., Williams is a graduate of the University of Massachusetts at Amherst, where he received his master’s degree in sports management. Bentley will also perform during the event. For more information, contact Miller at 936.294.3588 or djm029@shsu.edu. The Sam Houston State University College of Education will show educators how to “meaningfully integrate technology into their instruction” during the Second Annual Technology, Education and Communication Conference on Oct. 9. The conference will be from 8 a.m. to 4 p.m. on the SHSU campus. Check in will begin at 8 p.m. in the Smith-Hutson Business Building, followed by an opening ceremony from 9-10 a.m. in the Smith-Hutson Business Building Auditorium. “This conference focuses on hands-on workshops to teach how to integrate the latest technology tools into classroom instruction,” said Marilyn Rice, associate professor of education. The cost is $75 per person or $10 with an SHSU ID, which includes lunch. A 10 percent group discount is available for four or more people. The registration deadline is Saturday (Oct. 2). For more information, contact Rice at 936.294.1133, or to register, visit www.shsutecc.org. Beverly Irby, associate dean for graduate programs for the Sam Houston State University College of Education and Texas State University System Regents' Professor, has been named editor of the Mentoring & Tutoring: Partnership in Learning journal. The Mentoring & Tutoring journal is a Tier 1 international publication that serves as a major resource for educators interested in the exchange of information on mentoring and tutoring, according to James Berry, professor at Eastern Michigan University and executive director of the National Council of Professors of Educational Administration. 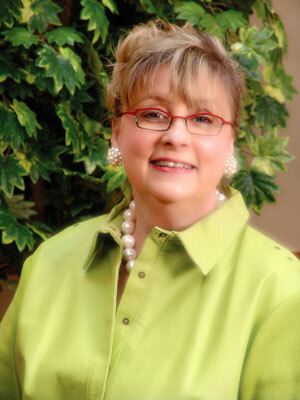 Irby’s tenure as journal editor will begin January 2011. She replaces Carol Mullen, from University of North Carolina-Greensboro, who has served as in the position for the past five years. “The vetting and my subsequent naming as editor of this prestigious journal by the NCPEA and Taylor & Francis Publishing Company is truly an honor for me personally and for our university,” Irby said. “I believe this to be a recognition based on all the scholarly work of our entire faculty. The journal has an acceptance rate of 10 percent with worldwide distribution. The NCPEA will serve as the sponsor of the journal and will work with Irby to prepare final copy for publication through its CyberPress system. Irby has named Linda Searby, from the University of Alabama-Birmingham, as reviews editor and Jennifer Bornsheuer, a doctoral candidate in the SHSU counselor education program as graduate assistant editor. She is currently developing the new editorial review board for the journal. 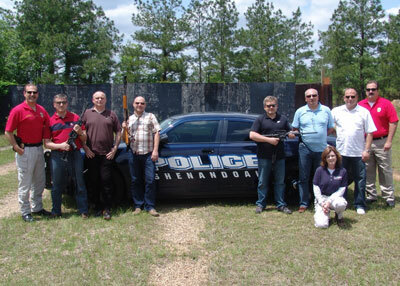 LEMIT leadership command college graduates were recently hosted by the Polish National Police Training Center near Warsaw, where they met with staff and visited various facilities in the area. Five graduates of the leadership command college at the Law Enforcement Management Institute of Texas recently represented the state during a visit to Poland. The delegates learned about the Polish criminal justice system, policing structures and techniques, corrections and international aspects of policing during the Sept. 2-16 trip, which also included official workshop in Warsaw, Cracow, Kielce, Sandomierz and Sulkowice. They were hosted at the Polish National Police Training Center near Warsaw, where they met with the agency’s command staff. The agenda also included visits to regional, state, county, city and field police stations; courts; correctional facilities; canine training centers and forensic and database integration centers. As part of an ongoing exchange program with the Polish National Police, LEMIT’s International Police Program selected five to represent Texas law enforcement this year. They include senior police officer Greg Sokoloski of the Houston Police Department, mounted division; Sgt. Pete Paske of the Missouri City Police Department; Cullen Grissom of the Texas Engineering Extension Service at Texas A&M University; Lt. Guadalupe Jimenez of the Houston Independent School District Police; and Det. Oscar Hinojosa of the Little Elm Police Department. This year, the Polish National Police and the U.S. officers jointly commemorated the anniversary of Sept. 11 with a special ceremony at the monument “Homo Domini” in Kielce erected as an homage to victims of the event and to the U.S. The U.S. Ambassador to Poland Lee Feinstein, Polish governors, mayors, Polish National Police executives, and other public officials were among the honorable guests. The police executives were also exposed to the Directorate of International Cooperation within the Polish National Police, an organizational structure that focuses on all international policing as well as intelligence and information sharing issues regarding the European Union and Schengen agreements.